In news deserving of five buckets of popcorn and a couple of sodas, Tim Heidecker and Gregg Turkington are bringing On Cinema At The Cinema to a handful of cities—maybe even a few near you. 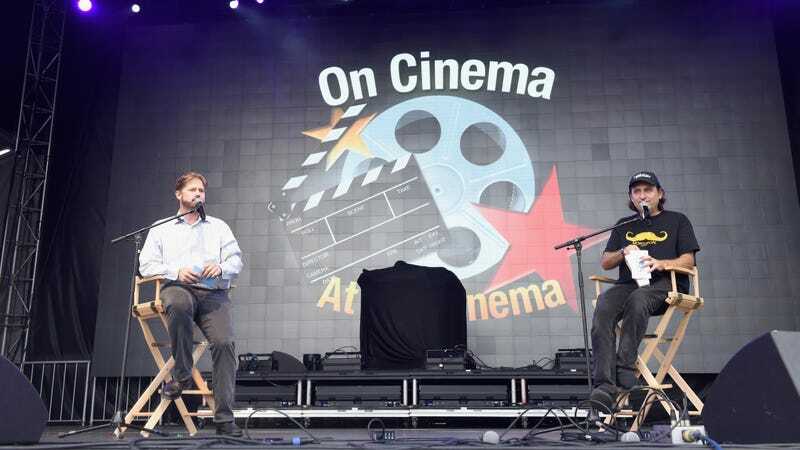 Following last year’s successful run of tour dates, On Cinema At The Cinema Live will continue in 2019 with dates in Texas and throughout the Midwest and Southeast, according to an official press release from Adult Swim. Tickets go on sale this Friday, January 18, on Tim Heidecker’s official events page (much to Gregg’s chagrin, I’m sure). On Cinema At The Cinema is also preparing for its sixth annual live On Cinema Oscar Special, which will air on February 24 (the same night as the actual Oscars, of course). As described by Turkington, the Oscar special is “the only place to find live, up-to-the-minute movie expertise and information, as well as tributes and interviews with the biggest names in Hollywood cinema history.” Fans can watch the live stream from the comfort of their own homes by visiting the official On Cinema Adult Swim website. A full list of dates and venues–restrooms included–can be found below. Chris Hemsworth generously dismisses Thor: The Dark World as "meh"